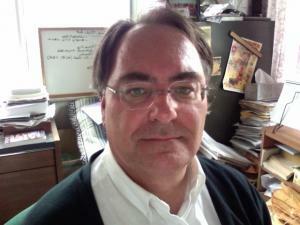 Rick Livingston has a Ph.D. in Comparative Literature from Yale University (1990), and teaches regularly in the Department of Comparative Studies. Long-standing research interests include literary and cultural theory, postcolonial studies and 20th century literature; more recently, he has been working on the cultural dimensions of sustainability. He’s been part of the Advisory Group to the President's Council on Sustainability, serves as a Cultural Facilitator in OSU's Excellence to Eminence Initiative, and is an active member of OSU's Art of Hosting Conversations That Matter community of practice.